Pool with swim-up bar at Coyaba Beach Resort. Coyaba Beach Resort is one of a few hotels offering direct access to Grande Anse Beach. 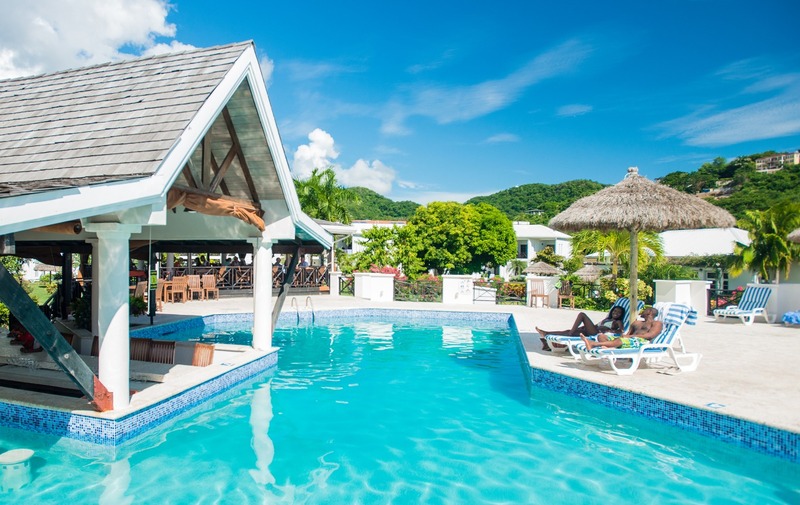 The resort features rooms with balconies, a pool with swim-up bar, and an onsite dive center. Coyaba Beach Resort has two restaurants. Arawakabana is the main restaurant, serving international cuisine and lobster in season. The Carbet Restaurant features casual, poolside dining with an à la carte menu. Room service is available during select hours, and there are three bars at the resort. Fly into Maurice Bishop International Airport (GND), formerly known as Point Salines International Airport, in the parish of St. George’s, Grenada. Coyaba Beach Resort is located about ten minutes from the airport. Visit Coyaba Beach Resort’s website for more information.